Recently, I have become obsessed with enamel pins, especially crafty enamel pins. My collection is still rather small, but I foresee it growing and wondered how collectors displayed their pins. A search of Pinterest resulted in some interesting options, so I made two different projects. I've always wanted a VW van. First up is this Embroidery Hoop Pin Catcher tutorial that I changed up a bit. I reduced the pattern size to fit the only empty embroidery hoop I had on hand. Instead of painting the VW van, I followed the appliqué and stitching techniques in Sew Illustrated. A feature mentioned in the tutorial is the hoop allows for the backings to remain on the pins (unlike storing them on a cork board). Also the depth of the hoop prevents any marks left on the wall from the pin backs. 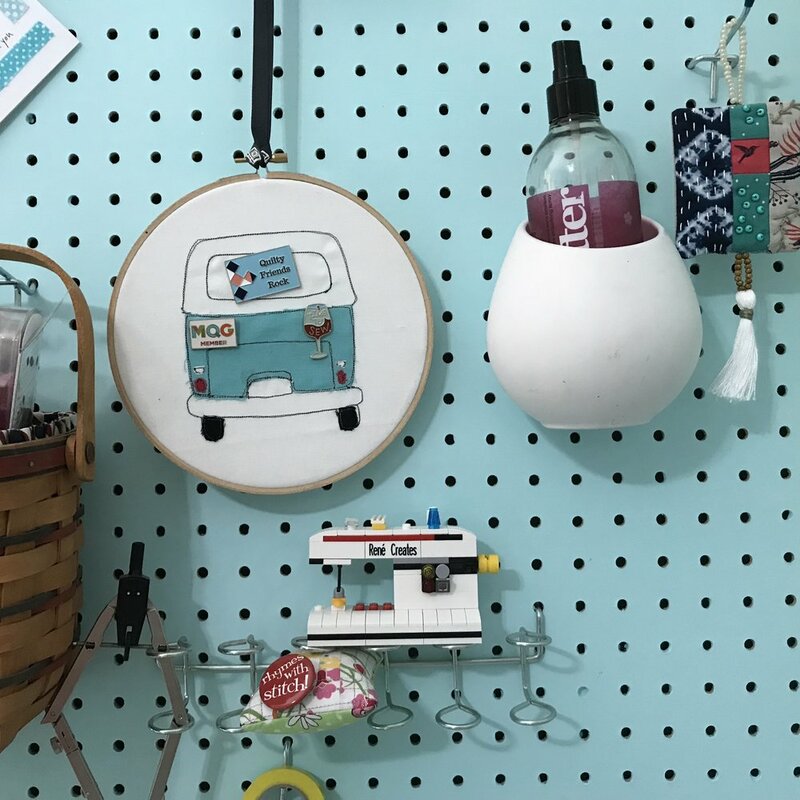 I have mine hanging on the pegboard so it really doesn't matter, but I like the option of placing on my wall without worries. I think this project though is my favorite so far for "catching" pins! 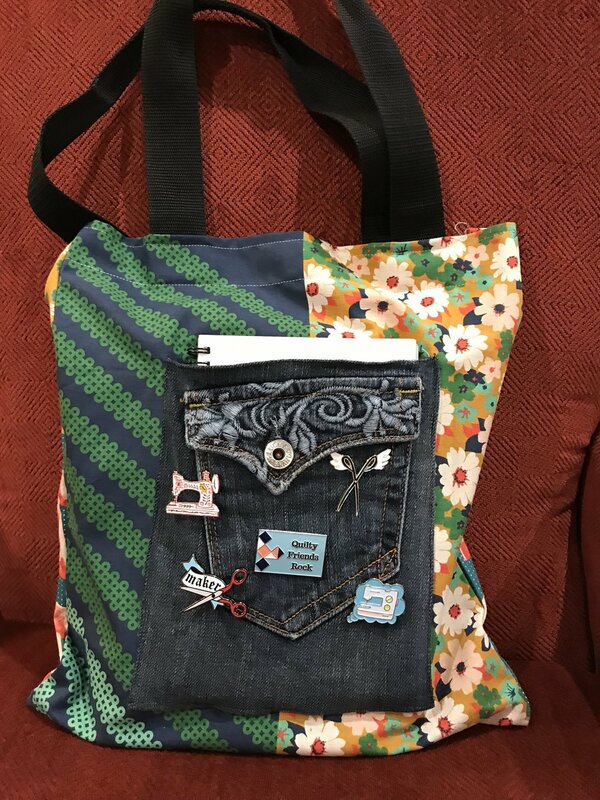 I found the Twenty Minute Tote directions easy to follow (though it took me a bit longer than 20 minutes...a bag maker I am NOT) and was proud that I managed to upcycle a denim jeans pocket for placing my new pins. The Melody Miller panel has been in my stash too long! It's satisfying to finally use a favorite fabric. I made sure the telephones were on the side WITHOUT the pockets so they can be seen.